BARS wants your bottles and cans! 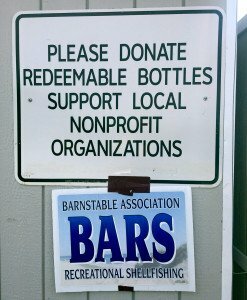 If you have redeemable bottles and/or cans and don’t want to stand in front of a machine putting them in one by one, BARS will gladly take them. Your donation will be helping a great organization fund its scholarships. 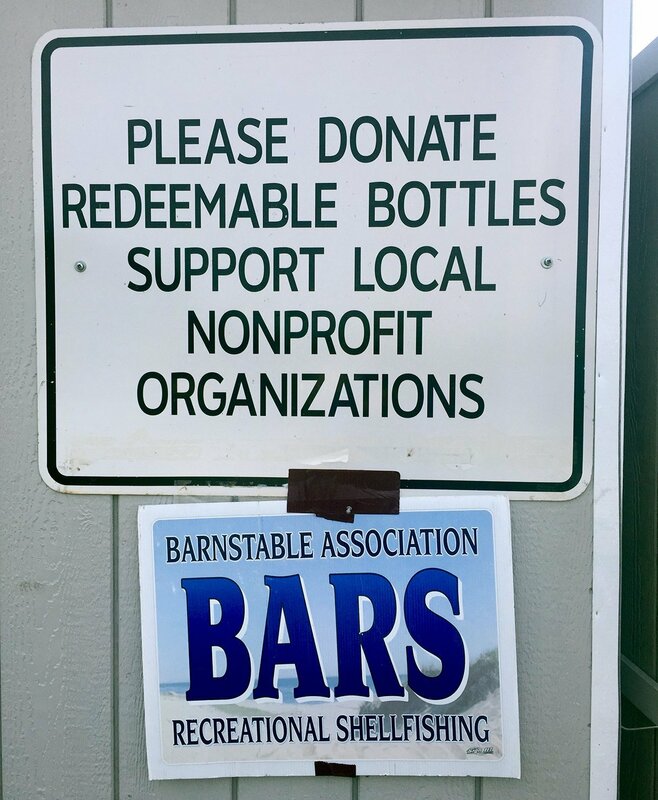 BARS will be at the Barnstable Transfer Station bottle and can recycling shed for the rest of July, 2015. 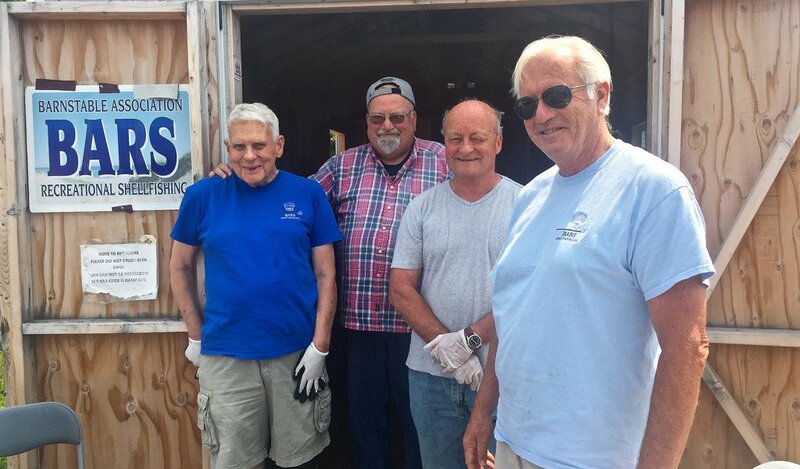 Shown in the above photo, left to right, are BARS volunteers Paul Dias, Ron Glantz, Tom Lipinski, and Rick Ryan.